Paternal haplogroups are families of Y chromosomes defined by specific sets of shared genetic variants. If you are male, the Paternal Haplogroup report provides information about your Y-chromosome haplogroup, which we also call a "paternal haplogroup" because it is passed down from fathers to their sons through the generations. Only males will receive a Y-chromosome (paternal) haplogroup assignment. Because females do not have Y chromosomes, females do not have paternal haplogroups. However, a woman can learn about the origins of some of her paternal ancestors from the paternal haplogroup of her male-line relatives. If a female customer connects with her father or full brother via DNA Relatives or Share and Compare, her Paternal Haplogroup report is automatically updated to show his paternal haplogroup. Be sure to check out our “Getting Started with the Haplogroup Reports” for a brief overview of this report and where to find the report within your account. The Paternal Haplogroup report displays a series of maps showing the migration of humans with a certain haplogroup. These maps reflect human migration over tens of thousands of years, a period in which humans migrated from eastern Africa to inhabit every continent on Earth except Antarctica. As they spread out geographically, they also diversified genetically. When a genetic variant arises in an individual and is passed down through the paternal lines, it will be present in living descendants. Since members of a haplogroup tend to be found in the same region of the world, your paternal haplogroup can say something about where some of your paternal-line ancestors lived. Geneticists use global haplogroup distributions to trace significant events in human prehistory, such as the migration of people to the Americas or the expansion of agriculture from the Middle East. In many cases we can offer accounts of where and when a haplogroup originated. Each paternal haplogroup is named with the letter of the major cluster of branches to which it belongs, followed by the name of a representative genetic marker. All lineages of a subgroup share one or more mutations, but sometimes there are a few lineages that don't fit into any named subgroup of a haplogroup. Since there isn't a known mutation linking these lineages, they don't get their own subgroup. Instead, these lineages are given the main haplogroup label plus a star (*) to indicate that they are part of the main haplogroup but don't fit into any of the known subgroups. An example of these "star" lineages is I1*. Sometimes new research leads to the discovery of mutations that link several of the "star" lineages. When that happens the lineages get a new name and lose their "star" designation. In November 2016, we updated the way we refer to each haplogroup. Paternal haplogroup names now consist of a letter corresponding to the major branch and the name of a representative genetic marker instead of the long-form haplogroup names previously used. For example, if we previously reported a haplogroup as “Q1a3a,” we now report it as “Q-M3,” indicating that the Y-chromosome lineage belongs to a subgroup of haplogroup Q that bears the M3 marker. We made this change because the long-form paternal haplogroup names can change from year-to-year, whereas the short-form names are relatively stable. Although the new assignment may look different from a previous assignment you received from 23andMe, in most cases, the new haplogroup assignment is equivalent to your previous assignment. The major change is how your haplogroup relates to other groups on the Y-chromosome tree. This often leads to a more specific picture of the geographic distribution of your haplogroup around the world. To trace the genetic history of paternal lineages, researchers compare the variants found in Y-DNA sequences from around the world. The result is a tree of Y chromosomes that shows how all paternal lines are related — called a phylogenetic tree. To see your haplogroup highlighted in a phylogenetic tree, click "Scientific Details" located near the top of the page. At the left edge of the tree is the most recent common paternal-line ancestor (MRCA) of all living people. Current evidence suggests he was one of thousands of men who lived in eastern Africa at the time. However, while his male-line descendants passed down their Y chromosomes generation after generation, the lineages from the other men died out. Over time his lineage alone gave rise to all other haplogroups that exist today. To the the right are his descendants. Each major branch of each tree is named with one or more capital letters, and deeper branches within the tree are labeled with sequences of numbers and letters. Each haplogroup name starts with the letter of the major branch from which it stems and ends with the name of a variant that identifies a particular subgroup. You may notice that some haplogroups are solid circles, while others are not. Haplogroups with additional subgroups have solid circles located under the haplogroup label; click the solid circle to reveal any subgroups. There may be additional expandable haplogroups, so keep an eye out for more solid circles. Clicking on the tree and dragging enables you to move the tree around to view different sections. Haplogroup is the term scientists use to describe a group of Y-chromosome (or mitochondrial) sequences that are more closely related to one another than to others. The term haplogroup is a combination of haplotype and group. In this context, haplotype refers either to the DNA sequence of one's mitochondrial DNA, which is inherited from one's mother, or to the DNA sequence of one's Y chromosome, which is passed from fathers to their sons. Due to their unusual pattern of inheritance, the mitochondrial DNA and the Y chromosome contain information about your maternal and paternal lines, respectively. But together, they make up less than 1% of all your DNA, and only represent a small fraction of your ancestry. Haplogroups are assigned by detecting certain genetic variants unique to each haplogroup. Our platform includes hundreds of Y-chromosome single nucleotide polymorphisms (SNPs). In contrast, many other genetic ancestry services analyze short tandem repeats (STRs), a different type of genetic variation. Although a single STR may be more informative than a single SNP, SNPs contain more information overall because there are so many more of them. I’m a female; why didn’t I receive a paternal haplogroup? Paternal haplogroups are based on the Y chromosome, which females don't inherit. If you connect with your father or brother via DNA Relatives or Share and Compare, your Paternal Haplogroup report is automatically updated to show their paternal haplogroup. Learn more. From your own report, you can learn about your recent paternal ancestors in our Ancestry Composition report. Learn more. I’m a female; can I learn about my paternal ancestry even though I didn’t receive a paternal haplogroup? The Paternal Haplogroup report only represents the men of your direct paternal line, from your father, to his father, to his father and beyond. Women can learn about their recent paternal ancestors in our Ancestry Composition report since the Ancestry Composition report uses DNA that people inherit from both parents. Learn more. Paternal haplogroups are based on the Y chromosome, which is only passed from a father to his sons. Females do not have paternal haplogroups because they do not inherit Y chromosomes. If a woman connects with her father or brother via DNA Relatives or Share and Compare, her Paternal Haplogroup report is automatically updated to show their paternal haplogroup. Learn more. I can't connect to a father or brother [in 23andMe]. Can I connect with a different male-line relative? At the moment, only a father or a brother can be connected to a female's Paternal Haplogroup report. If you have identified another male relative [who is related to your father along a direct male line], you can ask your relative to share a link to their published paternal haplogroup report. How can I view my relative’s Paternal Haplogroup assignment? You can view with your male relative’s paternal haplogroup by establishing a sharing connection and comparing results in the Share and Compare tool. Or, you can ask your relative to share a link to their published paternal haplogroup report. What do the numbers and letters in my haplogroup mean? Paternal Haplogroups start with one or more letters representing a major group, followed by the name of a representative marker carried by a specific subgroup. Why doesn’t my haplogroup match what I know about my ancestors? The information in this report does not represent all the ancestors on your father’s side. Rather, your paternal haplogroup tells you about a specific line of ancestry. Your paternal haplogroup tells you about your paternal-line ancestors, from your father to his father and beyond. So your paternal haplogroup helps you trace your ancestry through your father’s father but not through your father’s mother. This is because paternal haplogroups are based on Y-chromosome DNA, which is passed exclusively from father’s to their sons, generation after generation. Your family history is unique; the example populations and regions provided in this report may differ from what you know about your ancestors for a variety of reasons. For example, your ancestors may have migrated away from other people with the same haplogroup, or there may be other considerations specific to your family. My paternal haplogroup changed in the last year, Why? You may have seen changes in your paternal haplogroup assignment as a result of the updates we recently made to how 23andMe reports paternal haplogroups. Paternal haplogroup assignments now include the name of the major branch and the name of a representative genetic marker. For example, if we previously reported your haplogroup as “Q1a3a,” we now report it as “Q-M3,” indicating that your Y-chromosome lineage belongs to a subgroup of haplogroup Q that bears the M3 marker. Why Is My Haplogroup Different from a Family Member's? 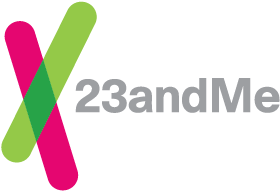 Do Men and Women Receive Different Ancestry Information from 23andMe?